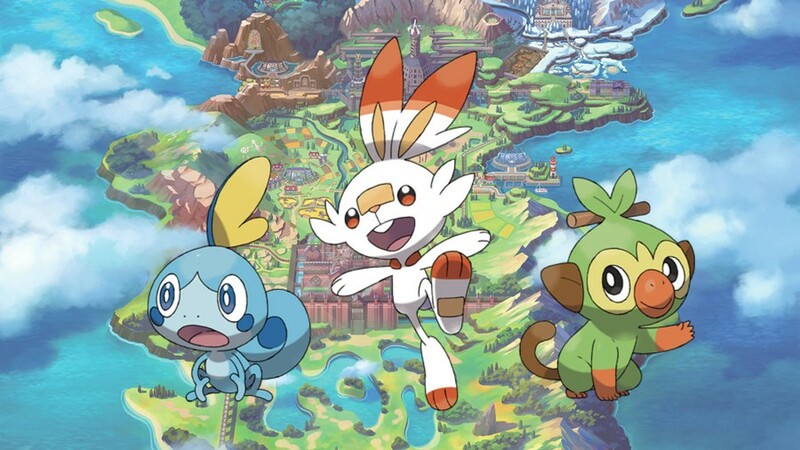 It already feels like forever ago since the Pokémon Sword and Shield reveal, but if the build-up to the release of Pokémon: Let's Go, Pikachu! and Let's Go, Eevee! is anything to go by, we can expect to see lots more footage and information ahead of the games' release later this year. Before The Pokémon Company showers us with greatness, though, fans will be given the chance to name a brand new move set to feature in the games. Sadly for us westerners, the contest is a Japan-only deal, set to appear in the next CoroCoro magazine. The winner of the contest will receive a copy of both games (as well as having their move name featured, of course) while 20 runners up will receive a copy of one of the games. What would you name this move, given the chance? Maybe it's time to contact any friends in Japan to enter for you when the magazine launches! I think we all know if they did this contest in the west the move would be Steely McSteelface. @Serebii are you really Serebii? The honor should go to @Serebii for sure. No more than 8 characters?? Ugh that’s hard. Let’s see... a steel move that does massive damage, but does damage to you... first thing that comes to mind is a double-edged sword. How can I convey that in 8 characters? @Heavyarms55 If it was up to me, I'd call it "Smeltdown"
So 8 characters, japan only and it costs half your health? Now how do I claim my prize? Oxyde Cannon. The user oxydate himself after one use. Meta Beam or Heavy Beam, because it's a steel type move and is of the special category. Reduces 50% and is a special steel move? I know what I’d call it. Sh*te. @Serebii you mean like this? Or is it possible to use other forms of japanese characters? I'm confused about this. Peeler. As in potato peeler, a highly dangerous weapon. I have typed 10 different names. I'm sorry, but this is kinda stupid. Without any context of what the move does, who learns it, etc. How can you even submit a decent name? Is it just willy-nilly and they pick the one that fits the move? As long as it's not a random draw I guess. @Anti-Matter I'm curious about num. 6 and 7. I know very little of japanese. I do know that num. 6 is used by Odin of Final Fantasy though. Corrosion Wave, i know its to long but sounds kinda cool so ignored the rules. Oh please and make Lucario learn it. This is extremely interesting. Good luck guys can't wait to see what you come up with! Corrosion Wave -> Malwave (Malware Wave) , Meltbreaker, Catalyburst. @Venus_Adept sounds nice and since it is impossible for a non-steel type to get corrosion, it could have a different effect on those just like the move [email protected]#se works different on non-ghost types. I wonder if the 50% is of your maximum HP, or your remaining HP? If it's the former it's kind of a bad move that will probably only be relevant for it's Z-move and as a last ditch effort. If it's the latter though, it could be a devastating tool for a choice scarf or choice specs wielder. Meltdown. As in the user is melting to do a massive amount of damage. Cool, it’s like what they did with Draco Meteor. In a naming contest, one can only imagine how many people are going to waste their time submitting vulgar entries that will be throw out. You know that would probably happen from western fans. Strong metal type attack that reduces hp by half. Sounds like radioactive decay. Could it be for a nuclear or radioactive pokemon? the first thing that came to my head was mercury meltdown. have it look like liquid metal raining from the sky. I shall call the move 'Anemia'. I don't know japanese at all but Google-fu says this means "Shatter Wave"
I thought of "Sacrifice" since the move is sacrificing a chunk of your HP for lots of the opponent's HP, but it's just over the word limit. "Renounce" and "Immolate" are some synonyms for it (thanks, thesaurus.com!). Shame I'm not Japanese but. If any of you want to use my ideas it's fine. If given a chance, I would name it FINAL CLANG, I think it'll be less than 8 characters if written in katakana. Well, clang, based on dictionary "to give out a loud, resonant sound, as that produced by a large bell or two heavy pieces of metal striking together." imagining the pokemon uses it have a metal sword and shield and then striking those together to produce a metallic sound explosion. Stone Cold Stunner or Top Rope Elbow Drop. Edit - wait that's 9. 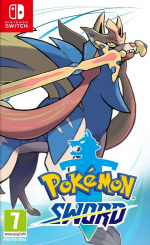 Lucario used ONLY IN JAPAN. It was super effective. According to the official CoroCoro post, it appears that the name must be composed of 8-or-fewer characters drawn from hiragana, katakana, ‘English’ (presumably this can be simply interpreted as ‘the Latin alphabet’), or numerical characters. So ‘はがねバナナ9Z‘ would be fine (although unlikely to win). Given than this is a Japanese contest for the Japanese version of the game open to a Japanese audience, I think it’s unlikely they’re looking for full English suggestions. Still, if you want to try your hand for curiosity’s sake, I think you can charitably allow yourself double the character length due to the Latin alphabet being less compact than the Japanese sylaberies. I’m not sure what the actual upper limit is on English move names, but standard (non-Z) moves like ‘First Impression’ reach 16 characters (including spaces) so allowing yourself this many doesn’t seem unreasonable. EDIT: Lots of radioactivity-based names above, but no-one seems to have thought of using the concept of radioactive half-life! For a move that literally brings you down to half of your life, something like ‘half-life blast’ seems perfect! Double-Edged Sword! It's like Double-Edge... but with a sword. This is the first time I've logged on in years, and it was to make this dumb joke. Yo what about "Automail", like after Full Metal Alchemist: Brotherhood? High powered, but it required a sacrifice; an arm and a leg. Withagun. A tribute to a Charles Bronson parody and the unofficial third version of the game. It should be sling blade. Its from a book series called red rising. Its used to cut of a limb to save your life.